The Rohingya have been described by the UN as Burma’s most persecuted ethnic group. The government of Burma has policies targeting the Rohingya on the basis of their ethnicity and religion, which are applied almost exclusively to them. In 2017, thousands of Rohingya were killed, and 700,000 were forced to flee their homes. A UN report has said Burma must be investigated for genocide and crimes against humanity against the Rohingya. This human rights guide, by the Human Rights Foundation, in collaboration with Burma Campaign UK, focusses on the particular human rights violations that the Rohingya have suffered. It features some of the fundamental rights that must always be respected. 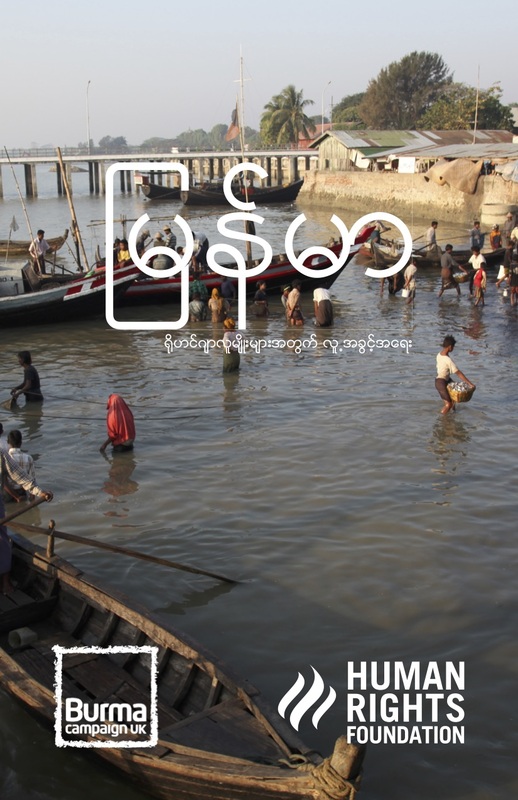 We then explain what each of these rights means in everyday life, and give examples of how these rights are systematically violated by Burmese authorities in the context of today’s situation for the Rohingya, detailing what can be done about it. The full Universal Declaration of Human Rights is also included in this guide. Human rights are universal; they belong to everyone, no matter which race, ethnic, religion, language, gender or wealth. Human rights are also indivisible; there is no one right that is more important than another. Rights for some groups, like women or ethnic groups, cannot wait to a later date. All over Burma, people have their rights violated, including Rakhine Buddhists. Everyone in Burma is entitled to the same human rights.